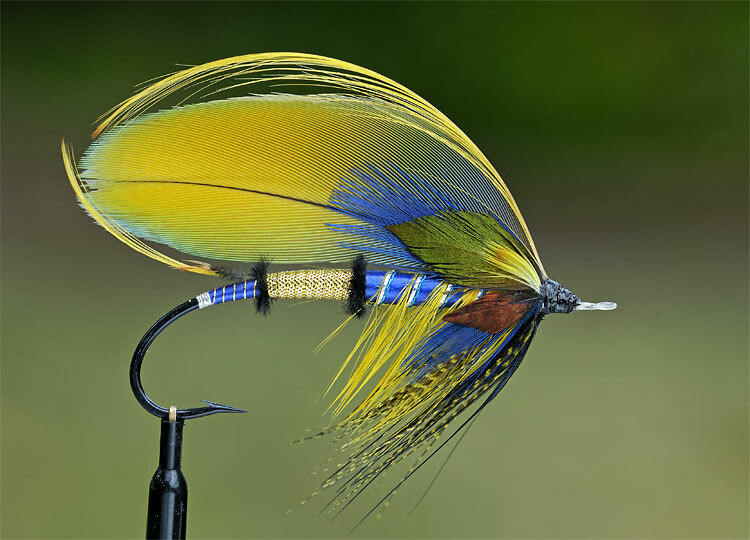 The thread underbody was covered with blue and yellow silk and fine metallic French tinsels. Feathers used include golden pheasant, Indian crow, black ostrich, and Chinese rooster. The wing feathers are a pair of matching macaw wing coverts. Other feathers include Impeyan pheasant, blue and gold starling, gadwall duck and blue-eared pheasant. 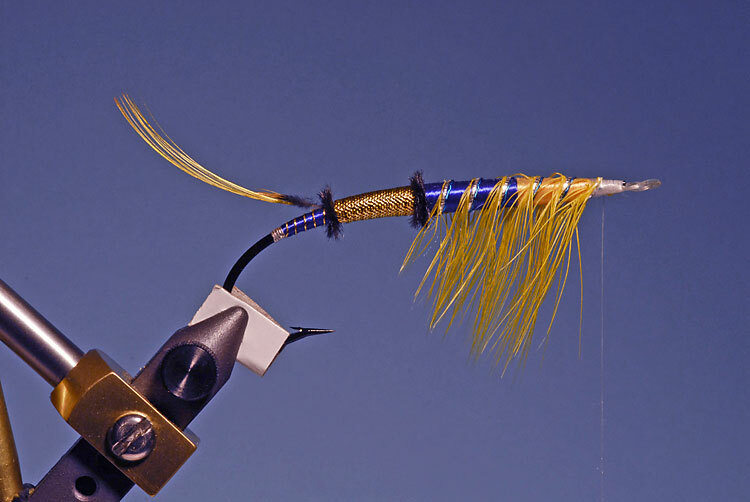 I enjoyed the challenge, realize the tail is too long which threw off the balance and flow of the fly. 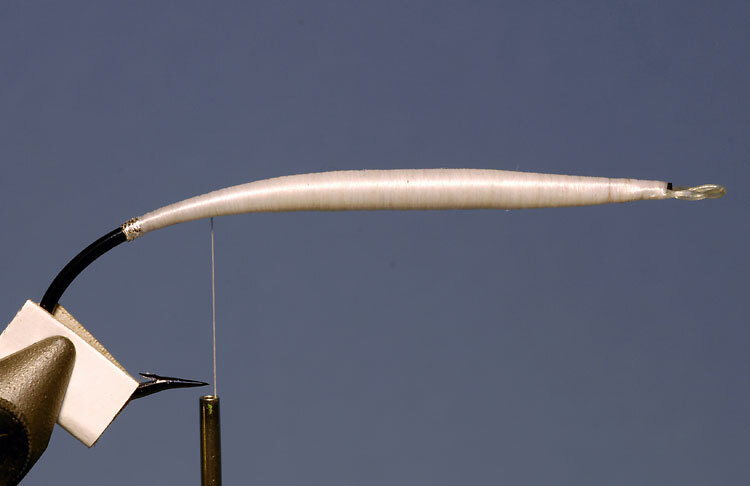 Next time I'll match the main feather, tail and topping, before tying anything onto the hook.